OK- here is the book of all books for our Tumbling Tuesdays. 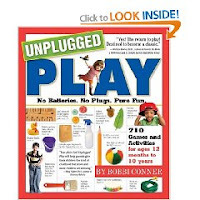 It is called “Unplugged Play” and is written by Bobbi Conner. 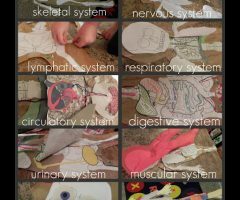 A fabulous collection of some fun games to play with your child from ages 1 to 10. 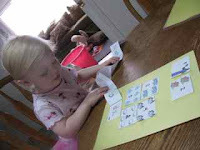 It doesn’t stop here…..in fact, this book has over 700 activities to do with your child! 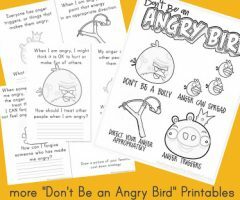 From arts, playdates, family nights….. this book has ideas for them all! This was truly a diamond found at the library!!! Yesterday for Tumbling Tuesday (OK, yesterday was Wednesday….but Tuesday I was sick in bed all day so we are making up for lost time!) I taught my Boo how to play tag. She LOVES it. I had “it” wear a scarf so she would remember who “it” was. That really helped out a lot. We ran around the house until we were both out of breath and in need of a drink break. And who knows…maybe in the process of playing with my daughter, I burned some calories! This entry was posted in Uncategorized and tagged Tumbling Tuesday on February 25, 2010 by ktoponce. 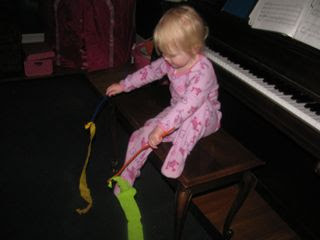 A few months ago I came across this post from Little Hands, Big Work about making your own toddler balance beam. I fell in love immediately. For two reasons- one, I am a sucker for DIY projects, especially when you can save a lot of money. 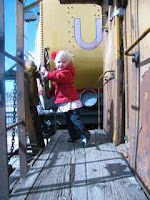 And my daughter LOVES any large motor skill activity I can rummage up. 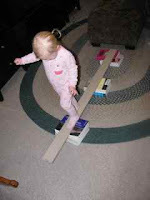 So making a toddler balance beam just seemed to make sense! The first thing my daughter did when she saw the beam was to jump over it. So we played the jumping game for awhile- jumping back and forth. 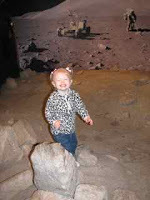 Then taking turns with Mommy jumping (it was great exercise!) We finished up our jumping game by holding hands while we both jumped at the same time. It was a great, spur of the moment, beam activity. 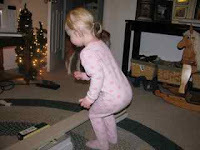 When we tired of jumping, I modeled the skill by showing my daughter how to walk across the beam (very carefully mind you- I thought that with Mommy weight the board was going to break at any moment) She instantly understood what to do and walked across beautifully. Several times. There were a few falls, but she is a trooper and would tell her self out loud, “let’s try again!” I just love her diligent little spirit! 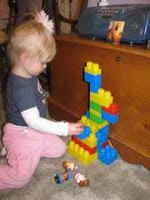 What do you have lying around your house that would make a great toddler toy? Have fun with your little one today! PS. 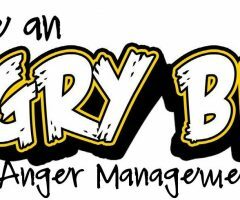 Thanks for the blog award Shafer Family! 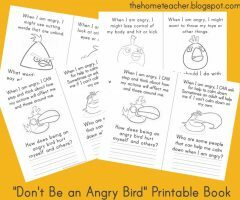 I love your blog TONS! Your recognition of my little blog means so much to me! 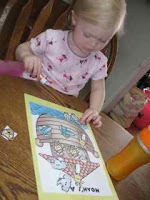 This entry was posted in tot games and tagged large motor skills, Tumbling Tuesday on January 27, 2010 by ktoponce. 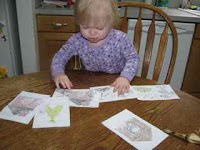 This entry was posted in learningtime and tagged large motor skills, Tumbling Tuesday on January 13, 2010 by ktoponce. 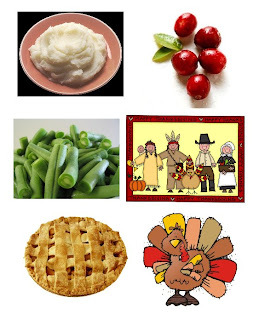 MASHED POTATOES: The Mashed Potato Dance (fists closed, arms extended out in front, alternating up and down movement.) This exercises the upper body and potatoes are in the vegetable group. TURKEY: Flap wings and gobble like a turkey while running carefully throughout the gym. This is an aerobic exercise and turkey is in the meat group. APPLE PIE: Students roll like a ball (apple) towards the center of the floor and sit together closely like apples in a pie. Rolling needs flexibility and body management. Apples are in the fruit group. CRANBERRIES: Students stomp on the floor on the cranberries to mash and puree the berries. This exercises the leg muscles and cranberries are in the fruit group and full of antioxidants. GREEN BEANS: Students walk around the gym on their tippy toes, arms extended upward, attempting to look long and tall. This exercise helps flexibility, balance and body awareness. Green beans are in the vegetable group. THANKSGIVING: Students walk around the gym shaking hands and giving appropriate compliments to their classmates. This is a way to show proper social skills. I created some activity cards that went along with each dance. As I was teaching my daughter the moves, I would show her the card first. 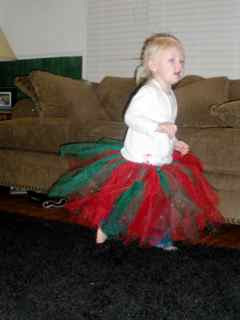 After we learned all the dances, she picked a card and then we would do the corresponding dance. She loved the turkey but absolutely hated the apple pie (doesn’t like rolling on the ground). Feel free to download- just click on the pic and save it to your desktop! 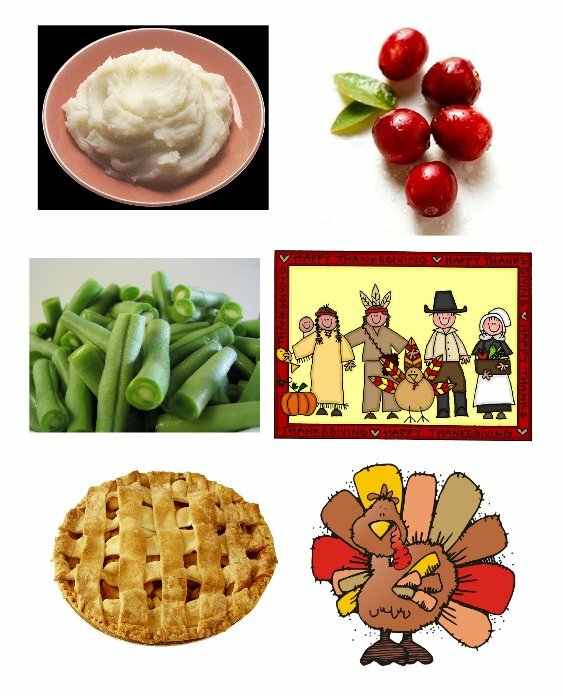 This entry was posted in celebrations, learningtime, Thanksgiving and tagged large motor skills, Tumbling Tuesday on November 18, 2009 by ktoponce.